Food is a reflection of one’s culture and traditions, and it is the best way to connect with people. When visitors come to the Guwahati city, we want them to have a memorable stay and experience the local cuisine to remember for a long time. Guwahati is mushrooming with numerous eating joints, snazzy cafes, glitzy restaurants serving world cuisine. 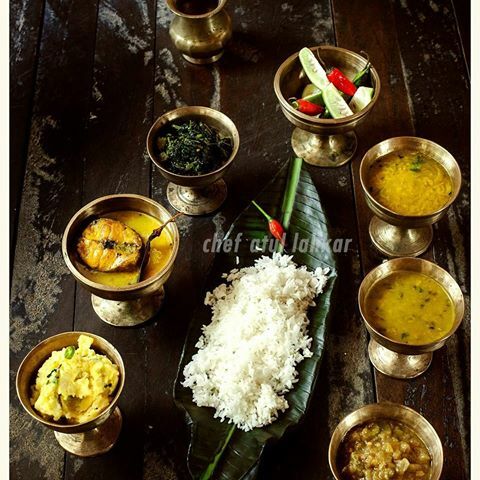 While are some that serve authentic local Assamese fare. 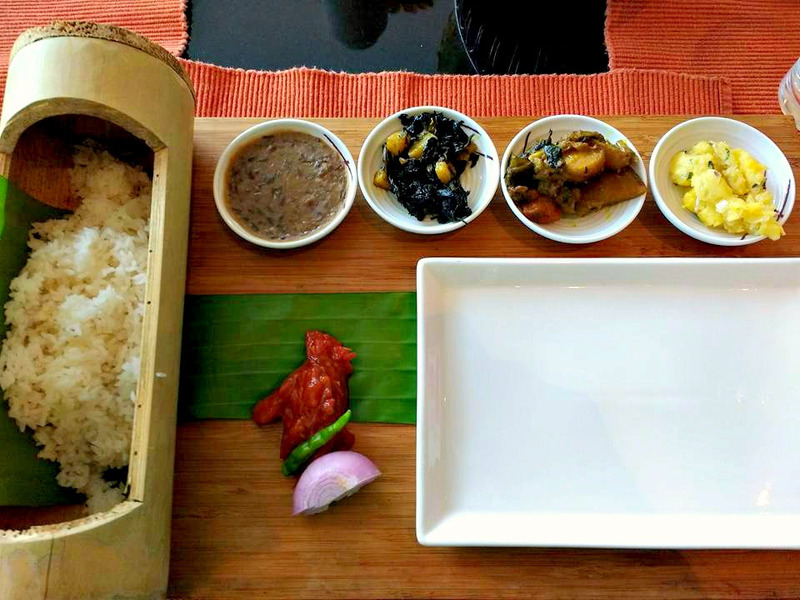 The Assamese (Oxomiya) cuisine can be described as homely and comfort food. Rich in flavour and taste, but light on the palate. Here, I’m going share some best places to eat Assamese food in the city. These are in no particular order, but each place has its uniqueness to make your meals memorable as they comfort your soul. This is the Grand Dame of Oxomiya Cuisine. It would be sacrilegious not to eat here. 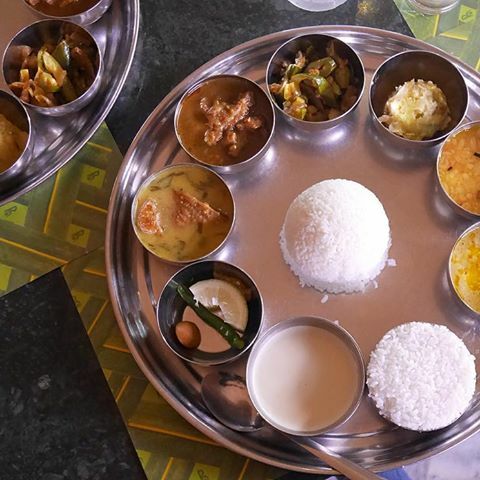 Their Parampara Thali is an astounding meal, which has all the dishes to showcase Assam on a Platter – from Khar and Khoroli to Pitikas and Tenga. This is the only restaurant that serves “Amlokhi” or Amla soup and has been doing so for many years, maintaining the same traditional taste. The must-try dish is its chicken prepared in bamboo hollow. For dessert, you should try Oxomiya jolpan of hurum (puffed rice), cream and liquid jaggery. This little place at Gateway Grandeur Hotel is one of my best recent discoveries. The food is absolutely delicious and the place has its own loyal customers. It will be a big mistake if you visit King Chilly and don’t try its pork curry with seasonal greens. The curry is light, yet full of flavors. Each ingredient stands out and goes perfectly well with steamed rice. 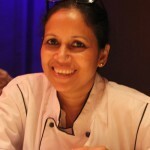 Owned by celebrity Chef Atul Lahkar, the restaurant serves some wonderful traditional Assamese dishes. 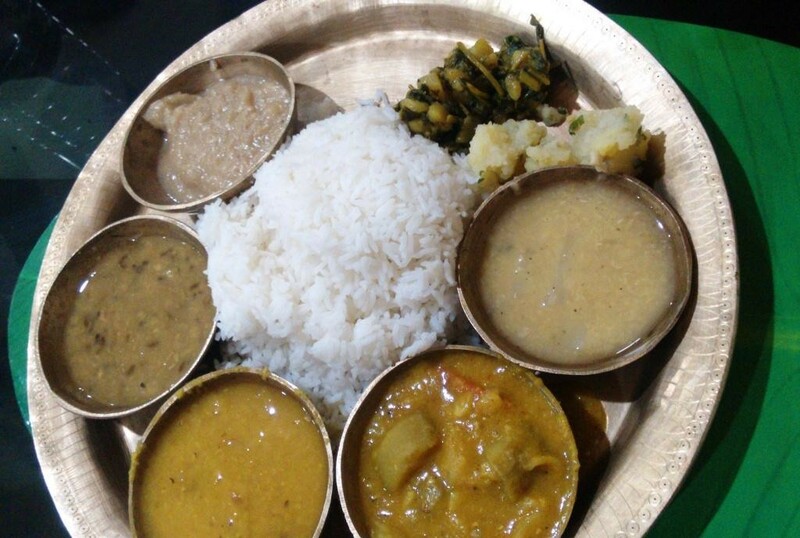 Its vegetarian thali contains most of the traditional dishes/ingredients. Signature dishes Khorikas (chicken, fish or pork roasted on bamboo skewers) and Maas Pura (mashed roasted fish), and chicken in sesame seed curry are highlights of its menu, which is extensive and uses indigenous vegetables and herbs. If the chef is around, he makes it a point to come and chat with customers. Located on G.S Road, this place has neat interiors and well-trained staff. Although it serves other cuisines, the Assamese fair has been attracting a lot of food lovers. 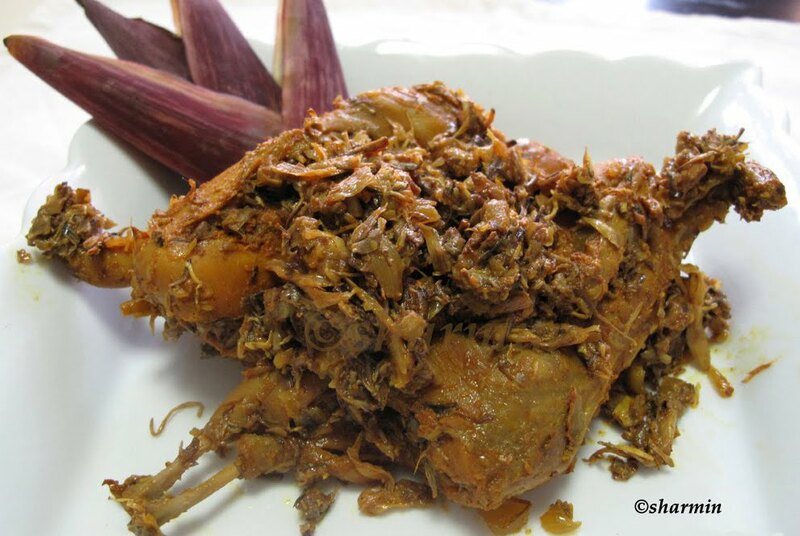 Not to be missed is its famous Assamese preparation of pigeon with banana flower. A must visit. Located on the busy Ganeshguri Flyover area, this restaurant has been serving Assamese food at pocket-friendly prices. 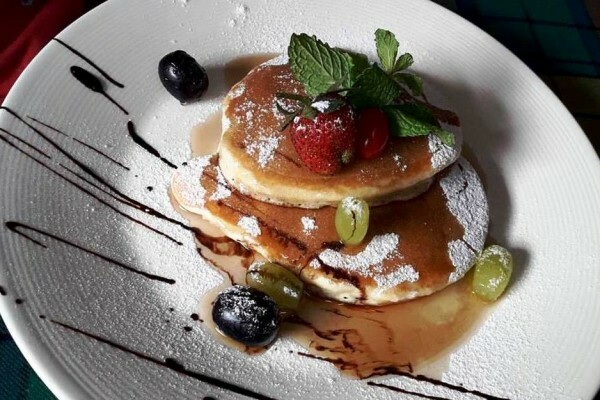 Cosy ambiance and waiters in traditional attire, give this place an authentic vibe. The menu is impressive and the owners have included almost all traditional dishes. Fresh river fish, cooked in authentic style is a must try. It will be a big mistake to miss tender pork with bamboo shoot. Most dishes were a hit with my taste buds. I also had to try their famous pigeon in black pepper and duck with split urad dal, classic Oxomiya preperations. Serving authentic food of the Mising tribe, this restaurant in Hengrabari is yet another place that serves traditional food at good prices. Indigenous and exotic ingredients, including duck, pigeon and various local fish, comprise its vast menu. Cosy interiors with bamboo and cane furniture, and waiters in traditional clothes adds to its charm. The only place in town that not only serves Assamese meals, but also has an elaborate Oxomiya Jolpan in their breakfast buffet. Traditional breakfast items such as Steaming Tekeli Pithas (steam rice cakes); Akhoi, Gur and Doi (puffed rice, jiggery and curd); and Bora Saulor Jolpan (sticky rice jolpan) are served as gourmet food. Chef Anirban Dasgupta has given commendable modern interpretations of the traditional dishes. The ‘Khorikas’ come in smart modern day mason jars and Bhoot Jolokia finds itself in many avatars. Expect to be wowed here, as your meal becomes an experience. 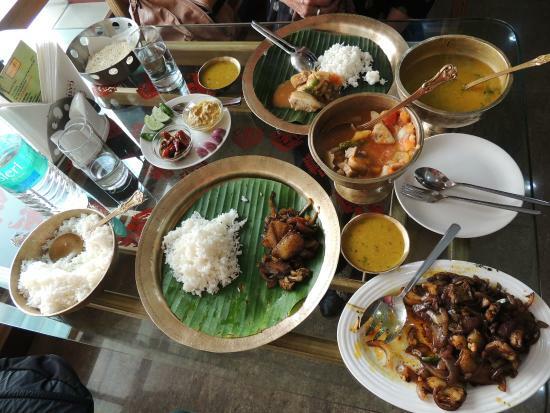 These are some of the iconic, popular and fine dining places that offer you a taste of the Assamese cuisine. Food in Northeast is mostly light, with minimal use of oil, but with extra emphasis on fresh produce and herbs. Tenga (sour curry) uses various souring agents depending on the season, such as Roselle leaves, to fruits and limes. The best tastes and dishes are in regional cuisines, food that not only fed us and tickled our palates, but actually healed our bodies. So, next time you are in Guwahati, skip the regular fare and eat like an Assamese. 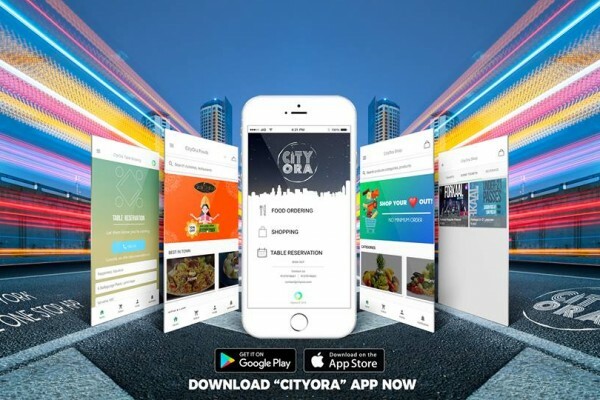 Savour the meals and connect with its people through the food that they eat.